Shakeology is a meal replacement mix produced by Beachbody that promises to improve health, boost energy levels, reduce food cravings, enhance digestion, and promote weight loss. There are 7 flavors of Shakeology. 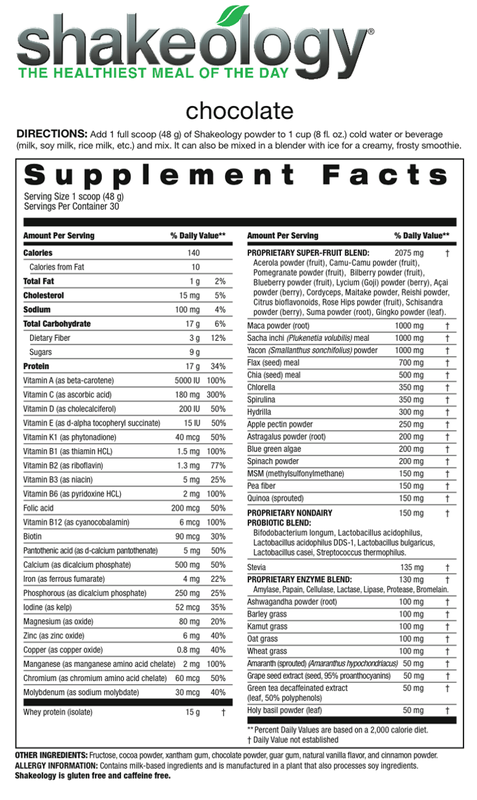 Here is the ingredient label for a few Shakeology flavors. The Chocolate flavor mix is the best-seller flavor. 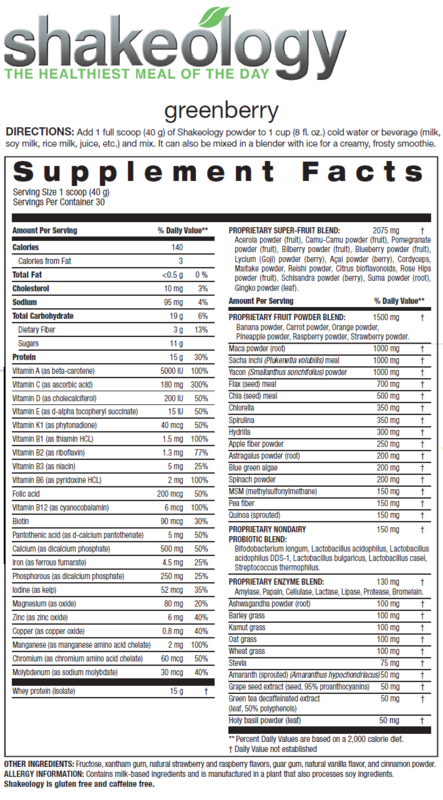 For a full analysis of these ingredients, click here.